A new Catch Up® Accredited Trainer! 19th January 2015 - A new Catch Up® Accredited Trainer! Congratulations to our new Catch Up® Trainer, Catherine Pass. We’re delighted to welcome our latest new trainer Catherine Pass, who has just achieved Catch Up® Accredited Trainer status! 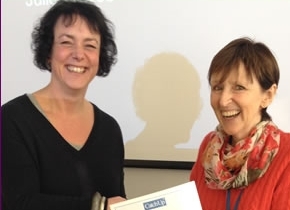 Catherine is now a Catch Up® Numeracy accredited Trainer in addition to her role as Specialist Teacher, SEN Services City of Bradford Metropolitan Council, Children's Services. Find out more about our Catch Up® Accredited Trainers.